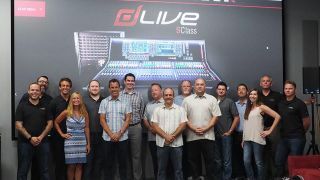 Allen & Heath USA and its distributor, American Music & Sound have named AudioGeer as its representative covering Southern California and southern Nevada. AudioGeer serves system integrators, pro audio retailers and e-commerce dealers, rental and staging companies, tour sound specialists, consultants, and engineers, and covers vertical markets ranging from corporate AV to worship spaces, sports facilities, schools, and performance venues. The firm’s 12 experienced professionals support a wide range of professional services including order processing and confirmations, product and system design support, on-site demos, and formal training.